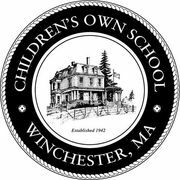 Children's Own School is a private non-profit Montessori School that has been serving Winchester since 1942. We have 5 spacious sun filled classrooms, experienced and fully trained teachers, and expansive playgrounds. Our enrollment starts with children 2.5 years of age, and most of our children stay through the Kindergarten year. Parents may apply by calling the office for an application, or download an application from from our website. Classrooms are balenced by gender, age, and siblings are given priority in the admissions process. Rate and review Children's Own School in Winchester, MA, United States! Share your experiences at Children's Own School with your friends or discover more Elementary Schools in Winchester, MA, United States.